While quaint boutiques and local coffee-shops are common fixtures of downtown Walla Walla, a larger corporate presence looms beyond E. Main Street. The vast majority of Whitman students polled in a recent Pioneer survey characterized the existence of these types of companies in the community as harmful, if not completely unavoidable. 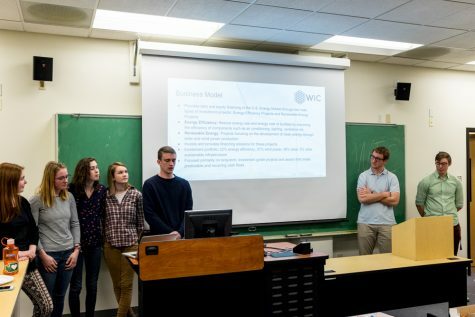 While over 90 percent of the 93 Whitman students polled considered their shopping choices as somewhat or very motivated by cost concerns, respondents also raised a host of ethical issues such as labor rights and environmental friendless that make them hesitate before buying products from large corporations. “I dislike these corporations, but in most cases, I have to shop at them in order to buy what I need . . . large corporations take away from a town’s individuality and history, and they treat their workers like cattle,” said one student in response to the survey. Absent among the ethical issues raised by students in the survey, was the philanthropic presence of corporations in Walla Walla, a role that some community members argue is overwhelmingly positive. Liz George, the Young People’s Librarian for the Walla Walla Public Library, noted that along with support from local businesses, the library often receives financial support for programs from larger corporations such as Target and Starbucks. “I get [funding] primarily on either a request for sponsorship, donation or foundation grant. I get the same kind of support from local groups,” George said in an email. Specifically, the College Place Wal-Mart puts funding toward philanthropies focused on youth issues and child abuse prevention, such as The Children’s Home Society of Washington, a children’s services provider in Walla Walla. Stephanie Biegel, the HomeTeam coordinator for the Children’s Home Society, stressed the support that her organization receives from Wal-Mart, through monetary donations and volunteer hours. Many associates from the College Place Wal-Mart have volunteered at the organization through Wal-Mart’s Volunteerism Always Pays program, which matches volunteer hours with grants to charitable organizations nationwide. According to Biegel, associates from the local Wal-Mart have put a total of 750 hours toward Children’s Home Society programs. When asked about concerns surrounding Wal-Mart’s ethical practices, Biegel emphasized the need to examine the corporation’s impact specifically in the Walla Walla community. “There’s a general sense of them as a large corporation but you have to consider the management on a local level and the associates on a local level. Our local Wal-Mart is very supportive, and on a national level they’re huge on giving back,” she said. Steve Wenzel, store manager of the E. Rose St. Safeway, reiterated the positive impact of corporations in the Walla Walla community. Wenzel noted that while the E. Rose St. Safeway helps fund national efforts to provide disability services and cancer research funding, the organizations simultaneously places great emphasis on local causes such as the Walla Walla Community Hospice. “Safeway realizes that our commitment to our customers also means a commitment to the communities where they live,” he said. 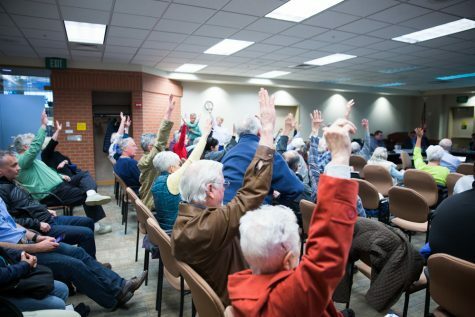 While Wenzel pointed out that smaller local businesses maintain a similar interest in the concerns of the community, the power of large corporations to affect change should not be dismissed. “We can take on more of a global issue, like Easter Seals, breast cancer and prostrate cancer. These are things that don’t just affect Walla Wallans, they are things that affect everyone. And I don’t know that [local businesses] have the scope that we do when it comes to stuff like that merely because they are one store. The mark that we can make by sheer number is bigger,” he said. However, local businesses also play an important role in both the business and philanthropic community. Andy’s Market is a local family-owned grocery store that has operated in College Place for over 30 years. Andy’s philanthropic work includes supporting and donating to schools in Walla Walla, Milton-Freewater and Touchet. They also support Seventh Day Adventist Churches and organizations, and other churches in the area. Lambert emphasized that one of their number one priorities is customer service and providing unique services that fit the dietary needs of customers. To this end, they focus on their large produce department and bulk section. Concerning Wal-Mart specifically, Lambert noted that stores that don’t diversify won’t make it against these types of corporate giants. “We have to be different than other stores, what they don’t do well, we must,” Lambert said. The approach Andy’s takes as a business in Walla Walla strikes a chord with sophomore Genevieve Jones, a sustainable food activist on campus, who tries to avoid large corporations in Walla Walla altogether. Instead, Jones focuses on shopping for food at family-run businesses such as Andy’s and the Walla Walla Valley Farmers Market that she believes foster a strong sense of community. “I don’t want to negate what big corporations are doing, but I don’t know the economic specifics behind it, like how much of their budget they are putting toward charity. But there are other ways to approach charity rather than just giving money. Shopping at smaller, family-owned stores is its own type of charity to the community,” she said.